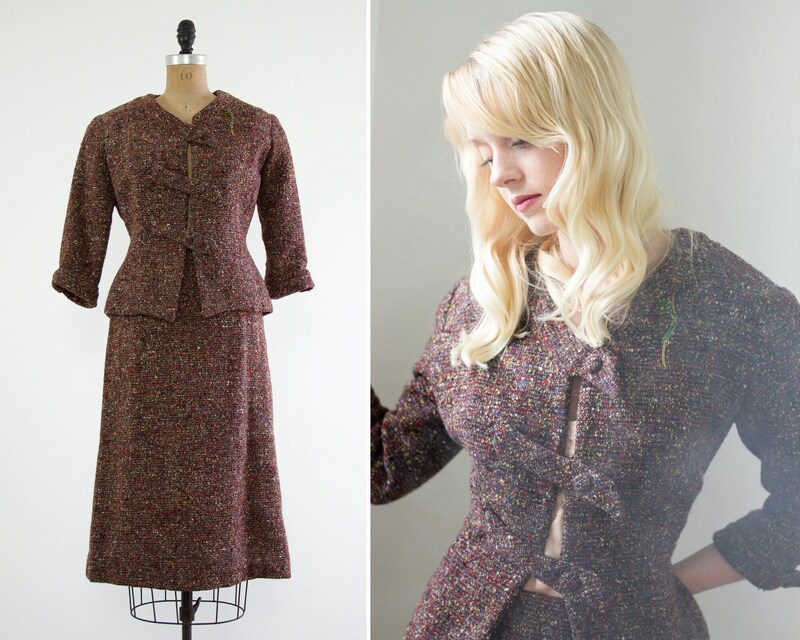 Vintage 1940s womens suit. 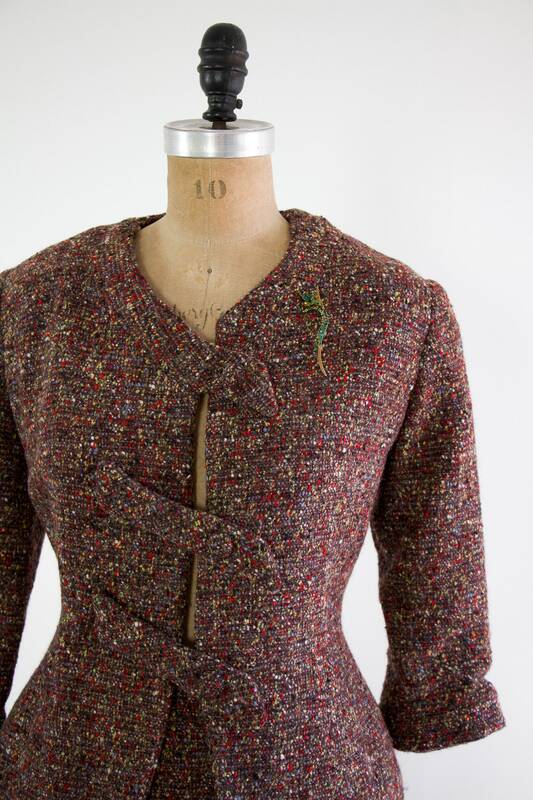 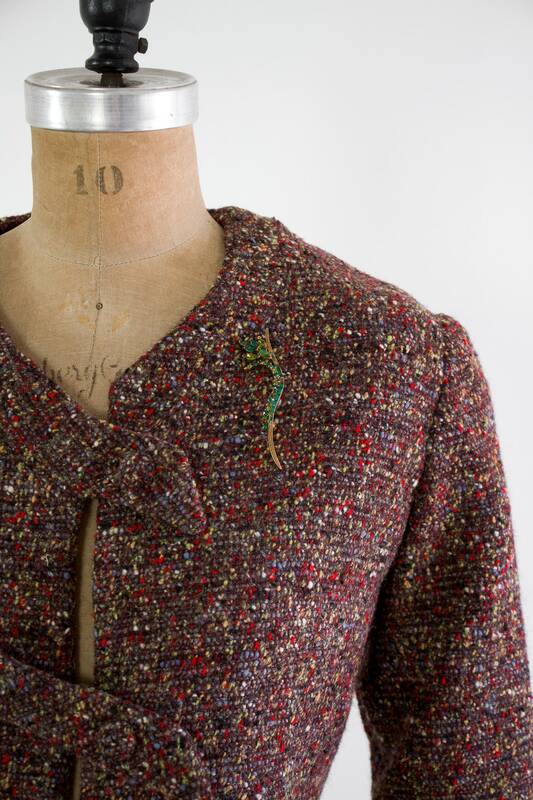 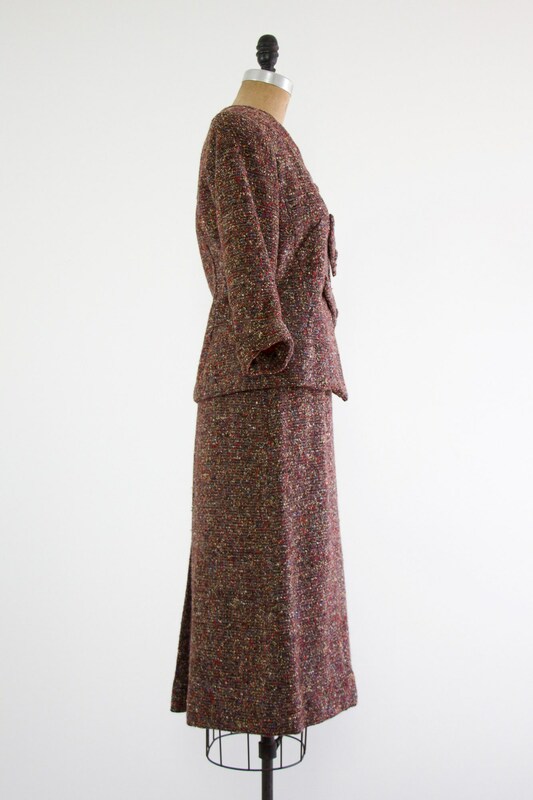 Skirt suit made from nubby multicolored wool tweed. 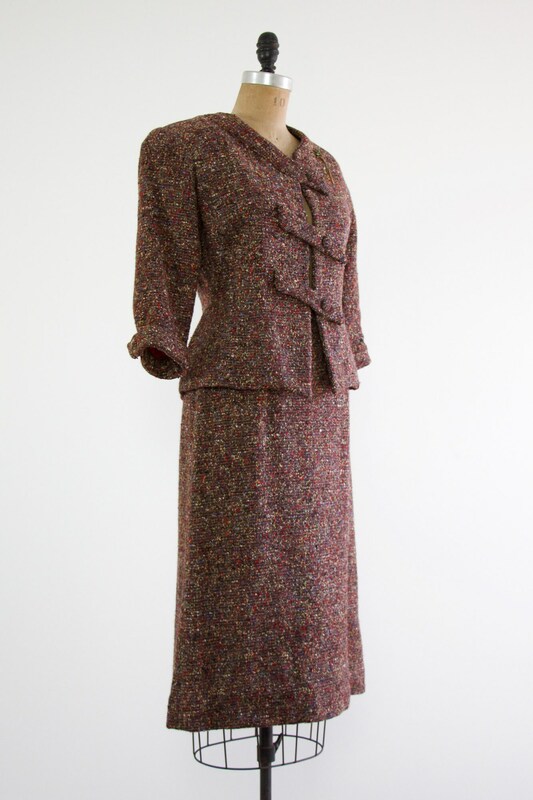 Jacket and skirt set is primarily dark muted purple with flecks of bright colors. 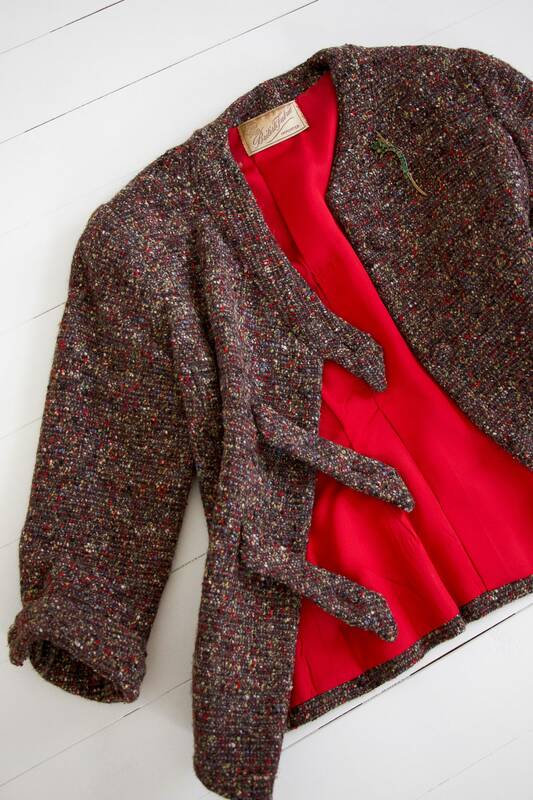 Jacket features asymmetrical buttoned straps and cuffed 3/4 length sleeves with buttons. 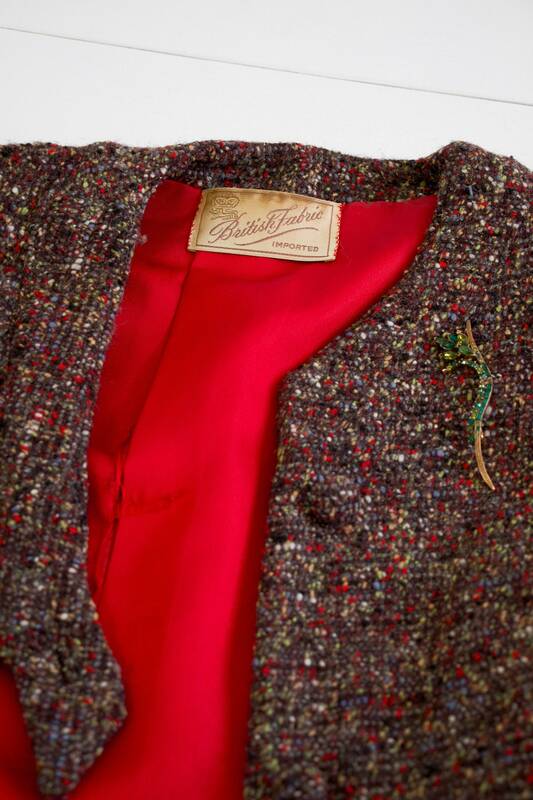 Comes with added brooch as shown in photos. 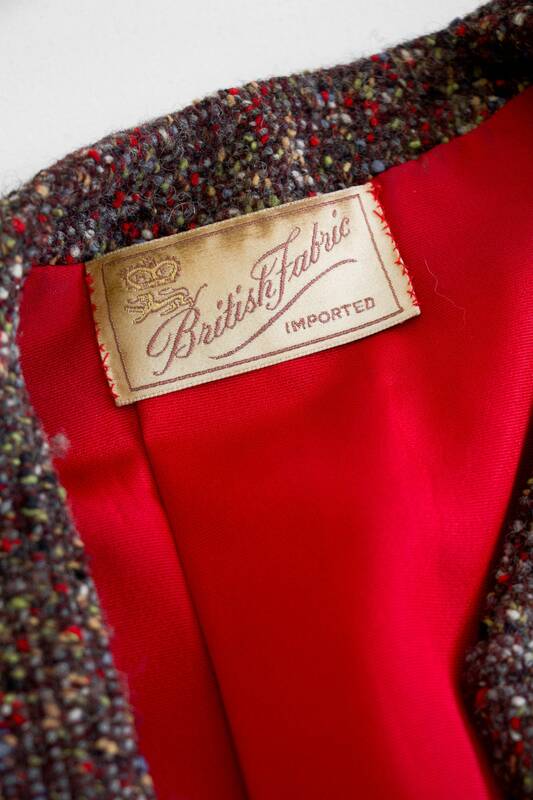 Jacket is fully lined in red satin. 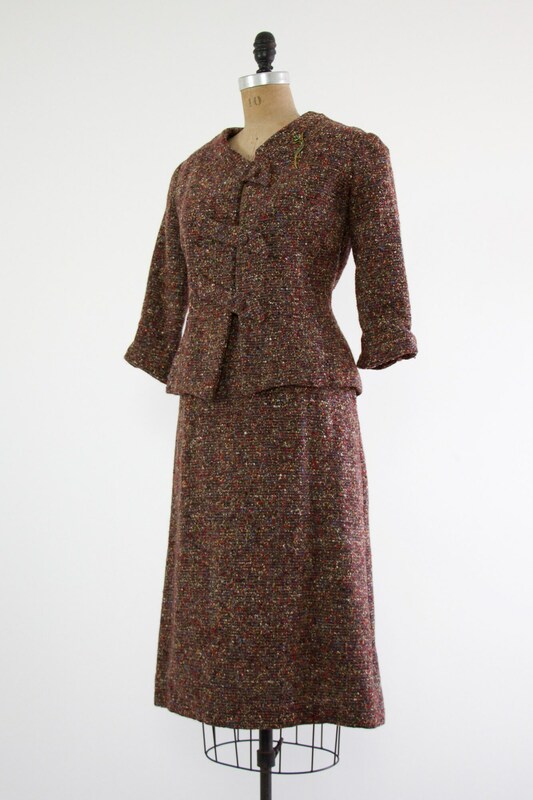 Skirt is lined halfway down in rust fabric. 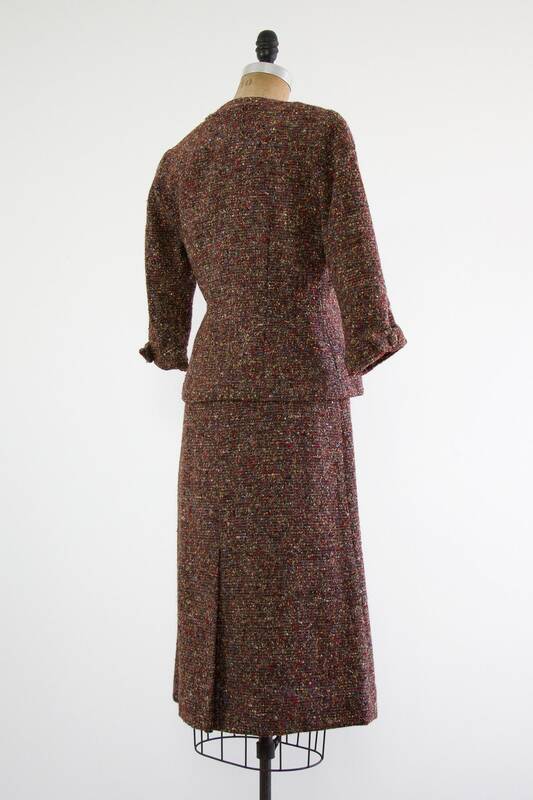 Skirt has metal zipper at one side.